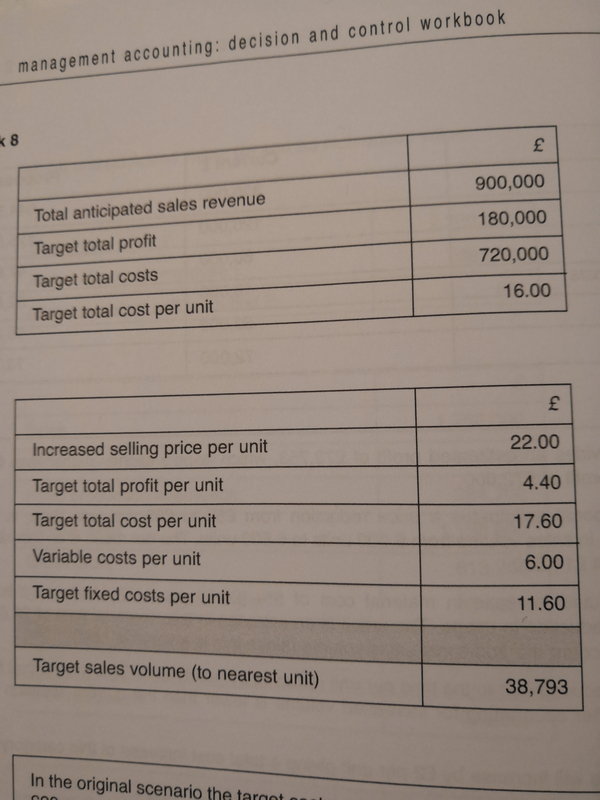 Can anyone break it down to me how you calculate the target sales volume of 38793 at the bottom? Can you please explain where the £450,000 came from. 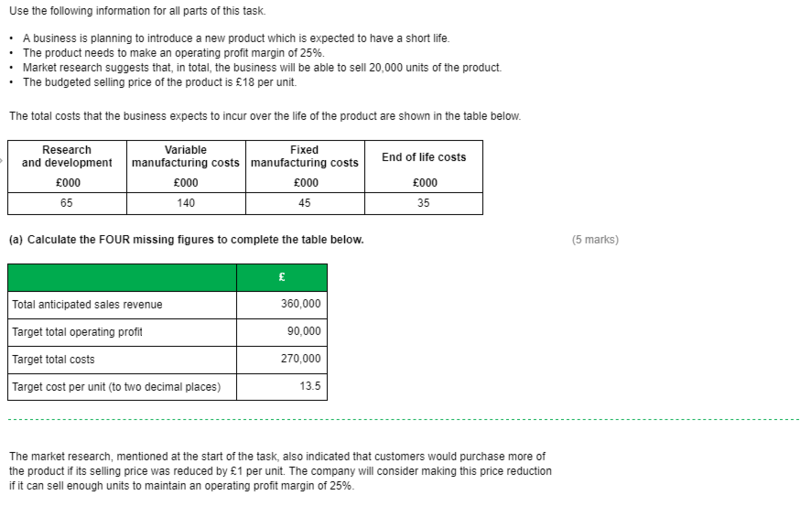 I am revising at the moment and stuck on the same question just the task has different figures to this one. 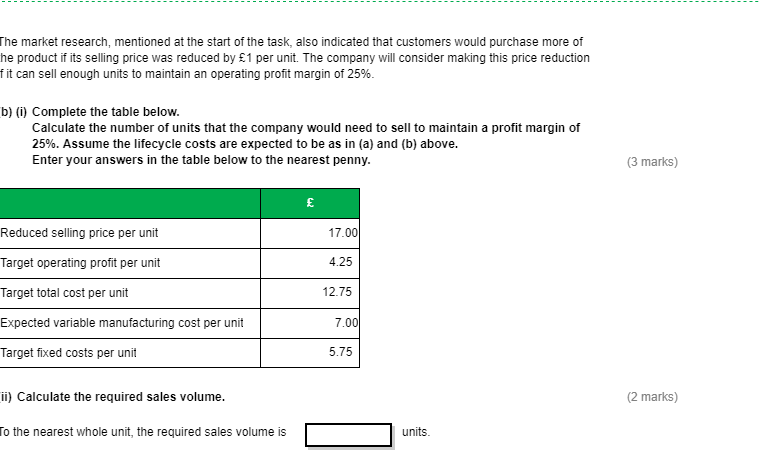 Please see attached this is the task I am working on and the answer is 25,217 units but I am struggling with the fix costs. I thought it might be the 65,000+45,000+35,000 = 145,000 but am not sure. You are correct R&D are fixed costs, apparently Fixed manufacturing costs are fixed and end of life cost are fixed.